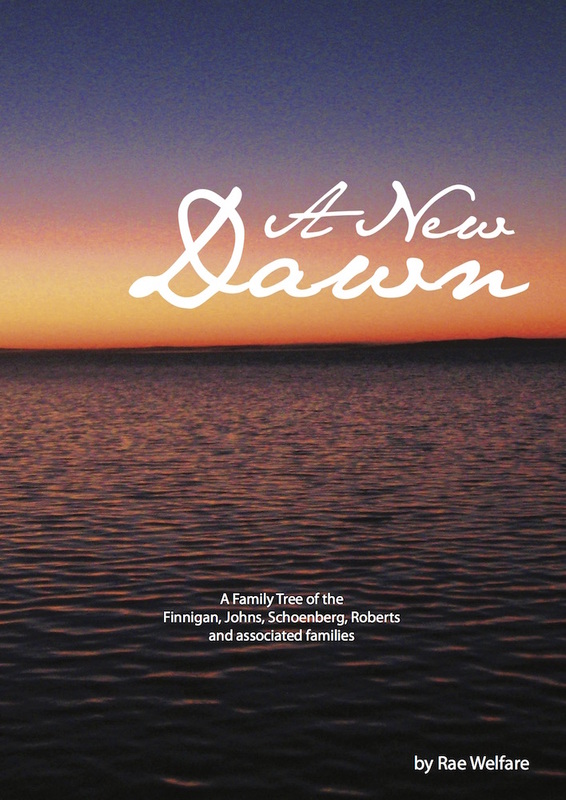 A Family Tree of the Finnigan, Johns, Schoenberg, Roberts and associated families. This book began originally from telling stories to a friend when we became bored at work. The age difference between us is only thirty five years but it seemed somehow from the recounting of my childhood that we were born a century apart and possibly in a different country. From there I began to think about my family’s origins and I found that several of my cousins were also interested and from there has begun the search for our family tree. I really began to question in my mind who were these people that travelled so far to begin a new life in a new country. What did they expect to find when they arrived? What did they leave behind? What did they want from their future new life? Did they feel the same way about Australia as I do or did home memories tug at their heart strings? How many ever got the opportunity to go back and, more importantly, how many of them ever wanted to? What genetic material did I inherit to make me who I am and what did they endure to prepare the freedom I enjoyed in my childhood?